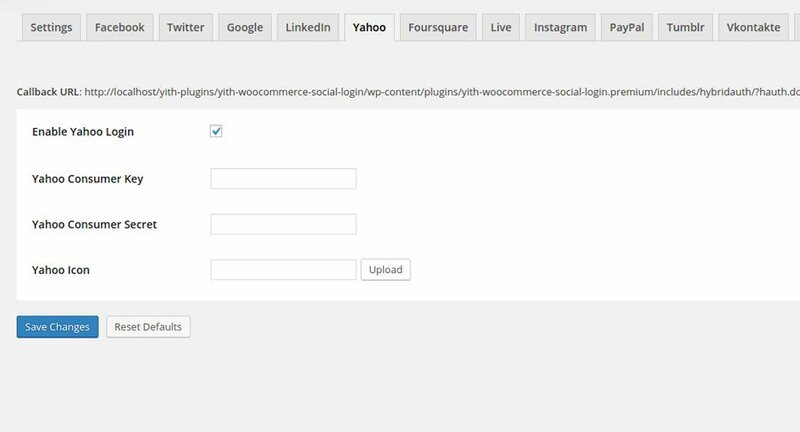 To display the button for Yahoo login, you have to enable the option Enable Yahoo Login that you can find in the plugin option panel. To get the credentials required by the plugin, you have to create an application. Go to the page developer.apps.yahoo.com using your account or create a new one, in case you haven’t done it yet. When you create the application, set Contacts as “Read” in section Permissions. Insert the value specified in the plugin settings dashboard in “Callback Domain” field. Once you have filled out the form, you will be redirected to the page of your new application to get there Consumer Key and Consumer Secret, that you will be later required in plugin settings. In case you were not redirected to that page, you can access this information by clicking on YDN Apps in the dropdown menu “My Apps” that you find on top right of the page. 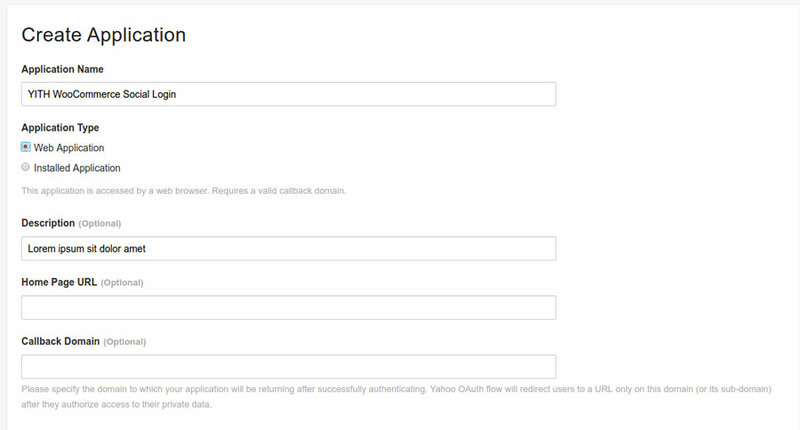 Customise the icon for this social network through the specific option Yahoo Icon that you find in the plugin.